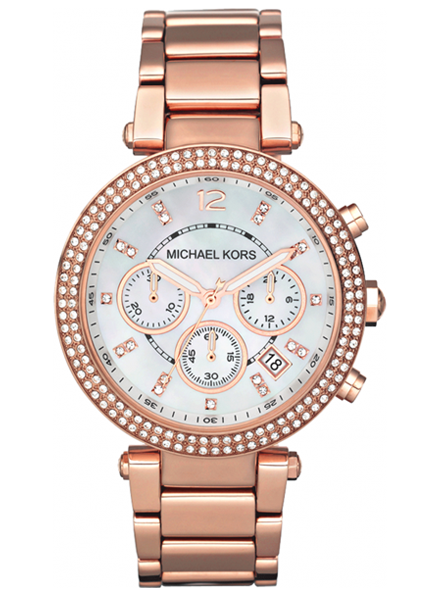 A highly unique and striking Michael Kors watch for ladies, this design features a rose gold plated stainless steel case with diamante embellished bezel. 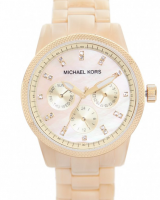 The strap is also gold plated stainless steel and the round dial is white with three hand movement, has a date window, sub dial chronograph and displays the Michael Kors logo. 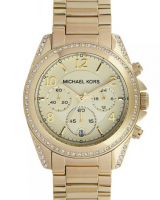 A high trend and urban styled unisex watch, this style features a gold plated stainless steel case. The strap is gold plated stainless steel bracelet style and the dial is gold with gold detailing and features three hand movement, date window and sub dial chronograph. 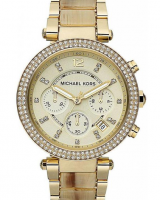 It features a gold plated stainless steel bracelet strap, a gold plated stainless steel with a diamante encrusted bezel case and has a light gold with three hand movement, date window, sub dial chronograph and diamante detail dial. Part of the hands glow in the dark. It features a two tone gold plated stainless steel strap, a gold plated stainless steel case and has a champagne with three hand movement, sub dial chronograph and date window dial. 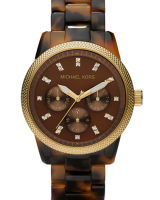 Michael Kors Watches are some of the most prominent wrist wear accessories in the industry thanks to their rich heritage and unrivaled sense of the style. 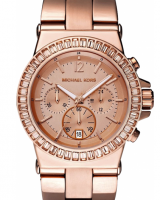 This Michael Kors MK5712 Wren Watch features a rose gold plated bracelet which leads into a beautiful rose gold plated bezel and rose gold plated case. 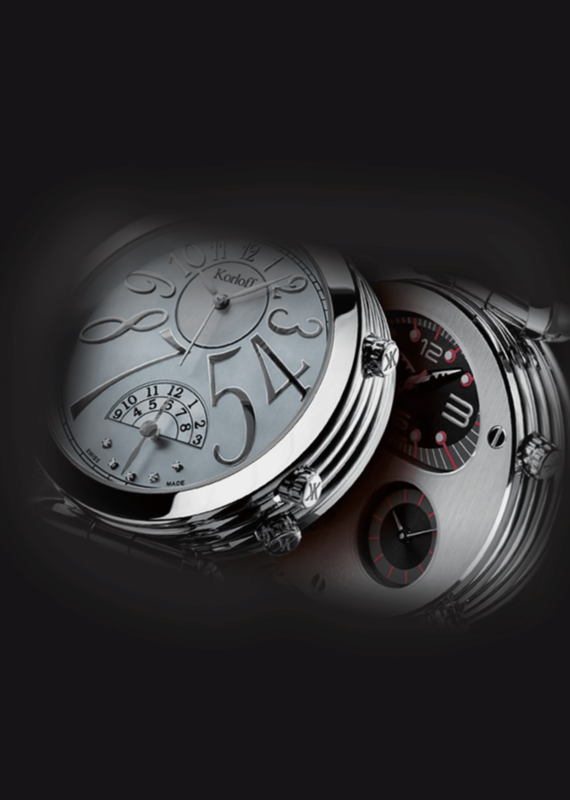 The face is white with a three hand movement, date window and sub dial chronograph dials. 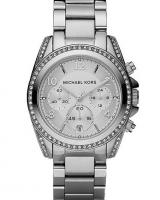 An ultra sophisticated Michael Kors ladies watch, perfectly capturing the androgynous look, this design features a brushed stainless steel case and a multi strand polished stainless steel bracelet strap with brushed central links for added definition, creating a 'chunky' effect. The round dial is silver with subtle diamante time marker detailing, three hand movement, sub dial chronograph and a date window. 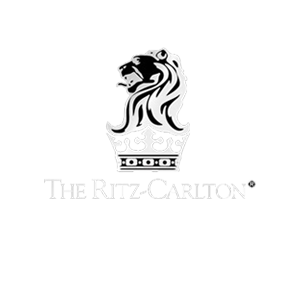 The Michael Kors logo is displayed at the top centre. 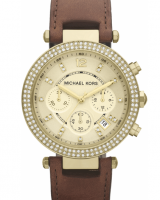 This Michael Kors MK2249 Parker Watch features a brown leather strap which leads into a diamante encrusted bezel and gold plated case. 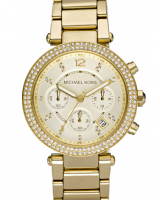 The face is also gold with a three hand movement and sub dial date counters. 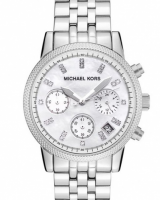 A striking, smart and statement Michael Kors watch for men, this style features a brushed stainless steel case and a stainless steel bracelet strap with brushed exterior links and polished central links for added texture and definition. 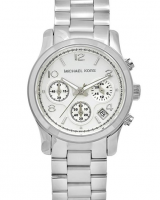 The round dial is entirely silver and features three hand movement, sub dial chronograph, a date window and the Michael Kors logo is presented at the top centre of the dial. 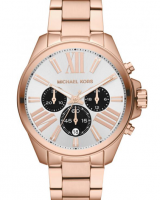 It features a rose gold plated stainless steel bracelet strap, a rose gold plated stainless steel with a diamante encrusted bezel case and has a rose gold with three hand movement, date window and sub dial chronograph dial. 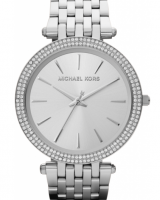 A sleek and super stylish Michael Kors watch for ladies, this design features a polished stainless steel case with a striking diamante embellished bezel. The bracelet strap is also polished stainless steel and the round dial is silver with three-hand movement, sub dial chronograph and a date window. 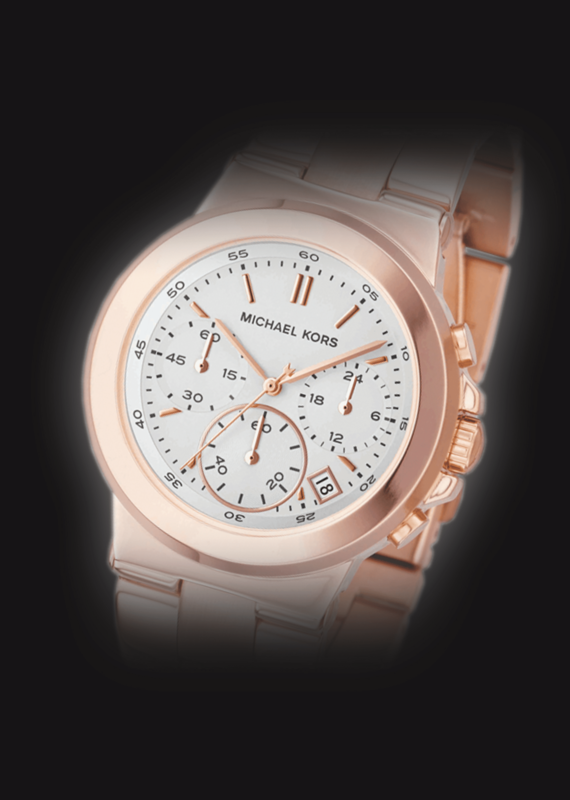 The Michael Kors logo is displayed at the top centre of the dial. A striking and sophisticated ladies watch, this style features a stainless steel case contained within a horn effect exterior. The bracelet strap also has a horn effect pattern and the round dial is a stunning cream toned mother of pearl with three hand movement and sub dials displaying the day, date and month. 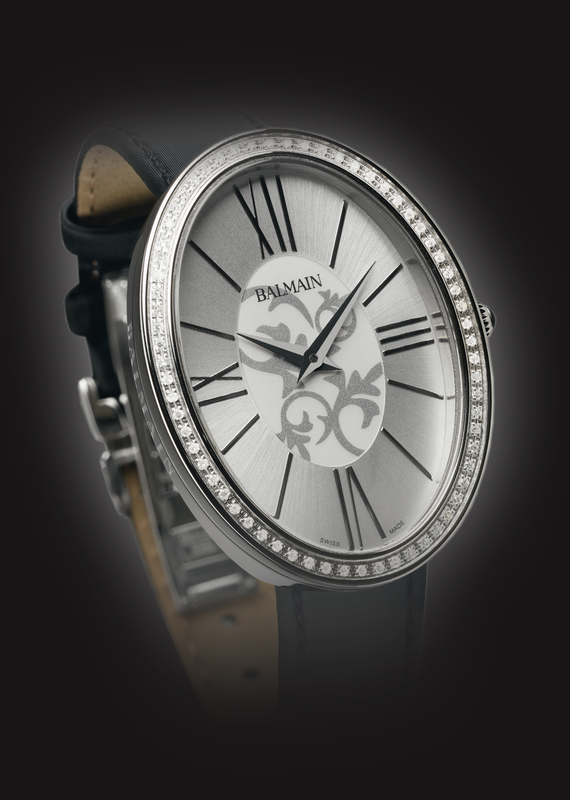 A striking and sophisticated ladies watch, this style features a stainless steel case contained within a tortoiseshell exterior. 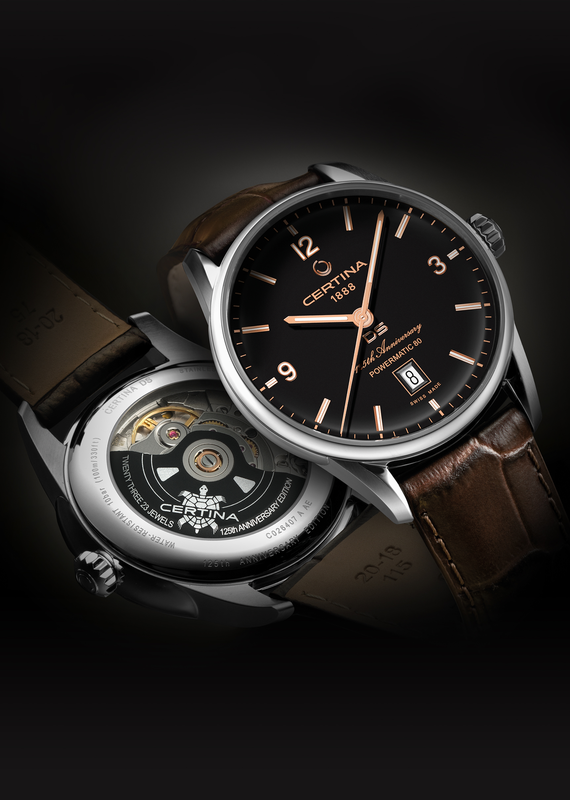 The bracelet strap also has a unique tortoiseshell pattern and the round dial is a stunning chocolate toned mother of pearl with three hand movement and sub dials displaying the day, date and month. 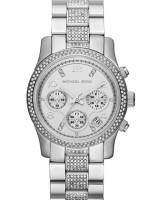 This Michael Kors MK5825 Runway Watch features a High polished stainless steel bracelet with encrusted diamante central links which leads into a diamante encrusted bezel and high polished stainless steel case. 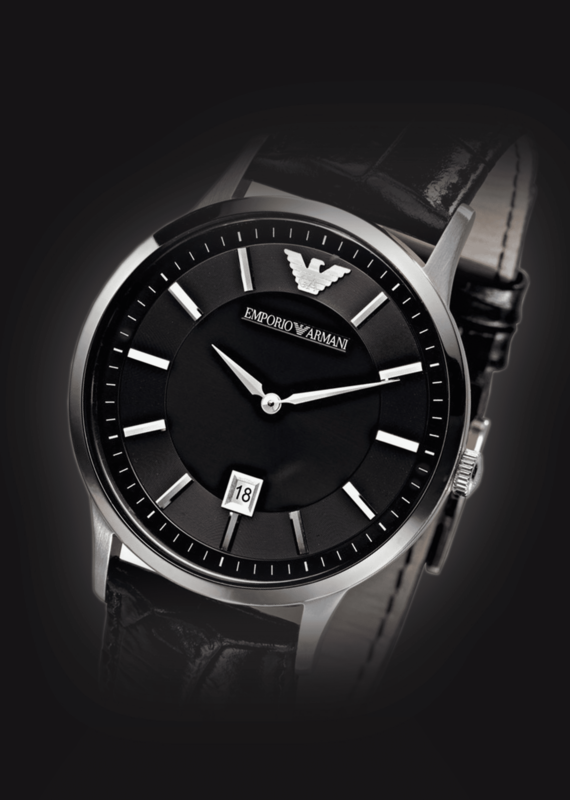 The face is silver with a three hand movement and sub dial date counters. 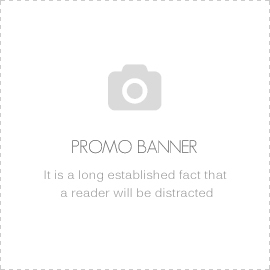 It features a high polished stainless steel bracelet strap, a high polished stainless steel with embellished topring case and has a silver with three hand movement dial.